The image of Charles Kinsey lying on the street, arms raised as he tried to calm his client, Arnaldo Rios, before police shot Kinsey in is a nightmare scenario for many autistic people and our families. After the shooting, the local police union for North Miami tried to excuse Kinsey’s shooting by saying that they were aiming at Rios when Kinsey was shot. Rios had been playing with a toy truck, which the police believed to be a gun. After the shooting, Rios was interrogated by Officer Angel Requeljado, according to a lawsuit filed against the city of North Miami by Matthew Dietz, litigation director of the Disability Independence Group and Rios’ lawyer. Dietz says Rios has echolalia, which leads him to repeat the words of others. A video uploaded by Dietz’s firm shows that Rios frequently repeated words or simply responded by saying “yes” or “yeah.” Dietz said Rios was handcuffed during this time, which prevented him from stimming, which could have soothed his anxiety. Had this been the beginning or the end of Rios’ story, it would have been enough to elicit outrage. But what happened both before and after the incident is equally disturbing and indicative of the challenges autistic people face. Arnaldo Rios had been at the Miami Achievement Center for the Developmentally Disabled, also known as MACTown, for roughly two and a half weeks before the incident and seemed to be transitioning well, Dietz said. Matthew Dietz, , said that prior to Rios being at MACTown, Rios had moved around various group homes. It was difficult to find a setting that meet Rios’s needs. MACTown seemed like Rios might, at last, found a setting that worked for him. Dietz’s lawsuit said Rios was adjusting well because he was able to have his own possessions. He had also grown close to Kinsey. Similarly, when Kinsey and Rios were reunited after the shooting, Rios was elated to see the man in charge of caring for him. “I was there when Charles walked in. When he said ‘Charles.’” Dietz said. Eventually, national media moved on. But what happened to Arnaldo Rios after the shooting of Charles Kinsey? The day after the shooting, Dietz said Rios’ behavior changed. Rios began to run out of MACTown and bite, most likely due to trauma. He was institutionalized at Aventura Hospital Psychiatric Ward. Rios was then taken to Carlton Palms Educational Center, now known as Bellweather Behavioral Health. Carlton Palms was the subject of a ProPublica Report that revealed years of abuse, while still having people funneled to the facility. Residents were restrained and shackled by staff. The month before the Rios incident, ProPublica reported that an investigator would be stationed at Bellwether and the state’s Agency for Persons with Disabilities reached an agreement with the facility that would ban it from receiving new residents. Similarly the state planned to move residents to new homes. Rios was admitted anyway. “We are working collaboratively with Bellwether to ensure a smooth transition for its residents. Our goal is to transition all individuals to new homes by March 2019,” said Melanie Mowry Etters, communications director for the Agency for Persons with Disabilities in an email. Etters said there are currently 156 residents at Carlton Palms and 38 have already transitioned into the community. Etters said APD was not able to comment on any APD customer due to federal privacy laws but did not say which federal privacy laws she was invoking. Dietz, Rios’s lawyer, said that Rios’ transfer to Bellwether was approved by the Agency for Persons with Disabilities. Dietz said that while there were some things Rios liked on campus like the chapel, Bellwether did not have the necessary accommodations for him. For example, there is no internet access. Rios likes to watch videos on YouTube, Scooby Doo, RoboCop and Jurassic Park. Rios’ institutionalization at a facility facing legal trouble for abusing its clients is indicative of the larger gaps in housing that exists for autistic people. Alessandri said that the state’s Medicaid waiver program for Home and Community-Based Services is also extremely long and has a waitlist of about 20,000 people. As of the last week of January, Rios was slated to move to a three-person group home which Dietz said he thinks will be a better setting for Rios. “The setting was designed around for Arnaldo’s needs so you couldn’t ask for more,” Dietz said. Sam Crane, Policy Director at the Autistic Self Advoacy Network says that states could do better than institutions like Carleton Palms, and that they could also do better than group homes. “The really important thing it is illustrates the question isn’t about whether group homes are good or bad, the question of whether system based on group homes can possibly meet needs,” Crane said. Rather, Crane said the solution should be housing vouchers that allow people to stay in their own communities to receive services. “Those housing vouchers need to be designed so that they can be used in conjunction with roommates if they so choose,” she said. There are, of course, no guarantees about Rios’ future. As Dietz said, he is still dealing with trauma from the shooting. But the facility has some upsides like not using restraints. As of the end of January, he was preparing to move to the new facility. In addition, after his family moved to be near him during his stay at Bellwether, his new home will be close enough for his family to visit him regularly. 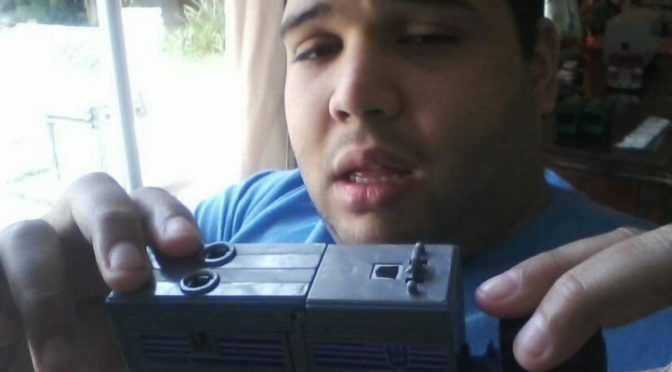 They hope Rios will be able to watch his YouTube videos as he pleases and play whatever toys trucks he pleases, without people misunderstanding him.